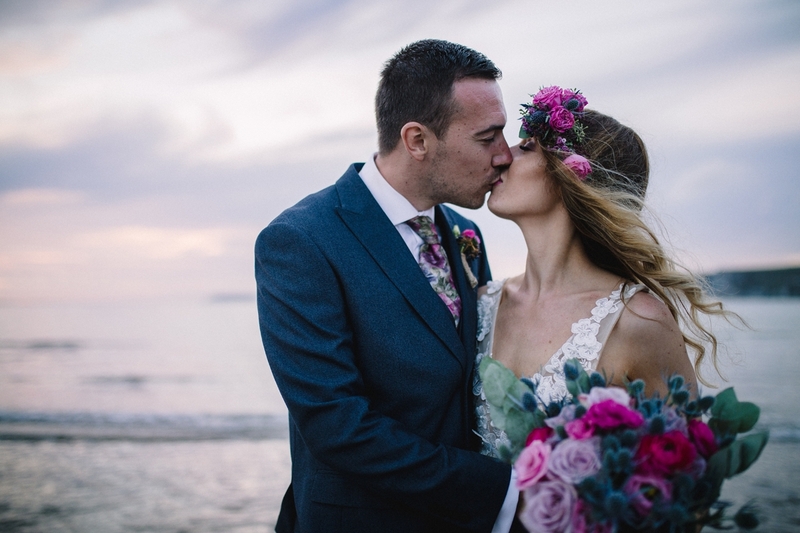 Not usually one for romantic gestures, Laurence took a six-month pregnant Katie to Goodrington in Paignton where he used to visit with his gran, and surprised her with a poignant proposal. 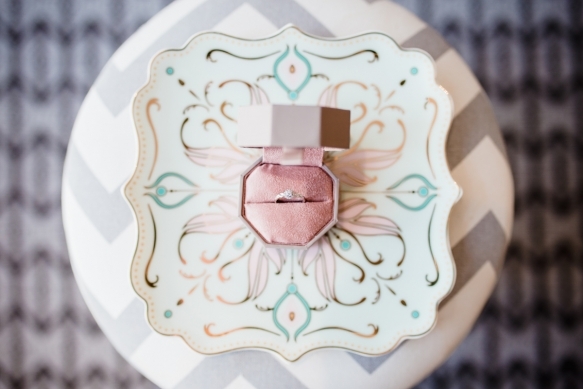 “It was very sweet,” she reflects. 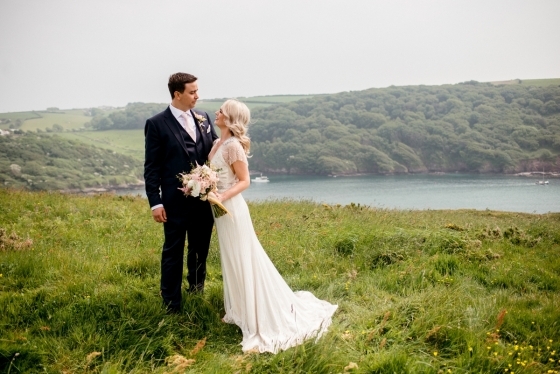 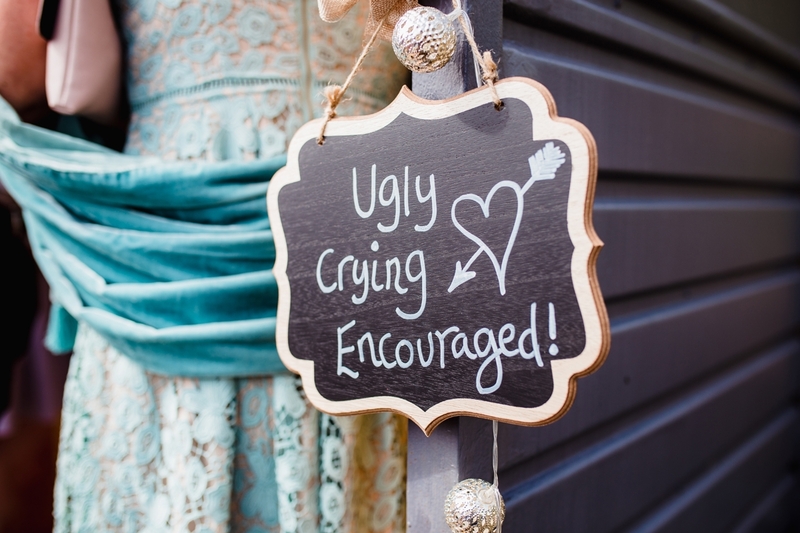 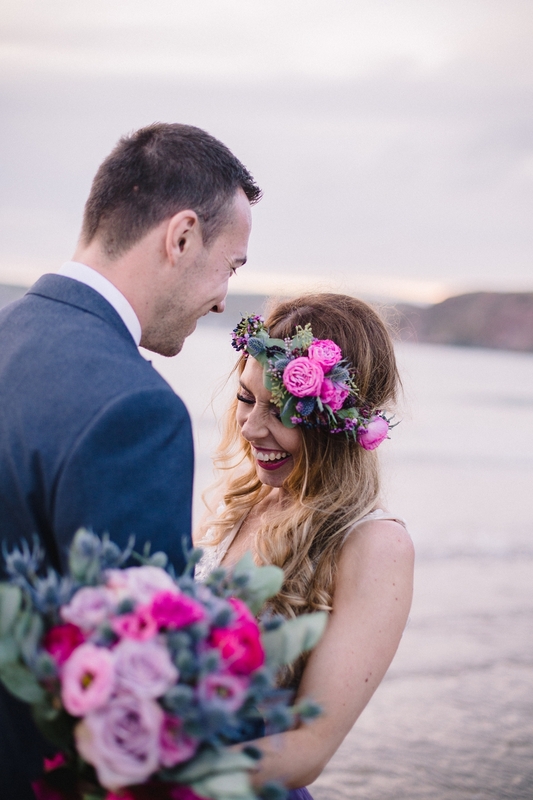 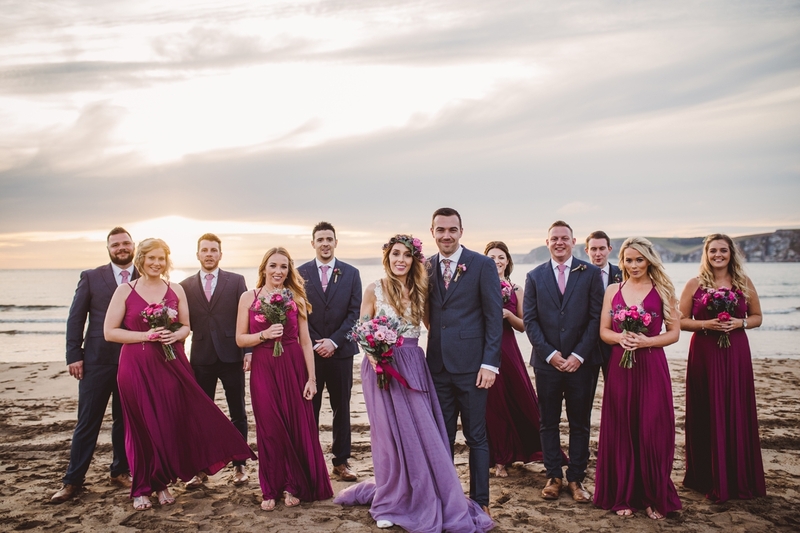 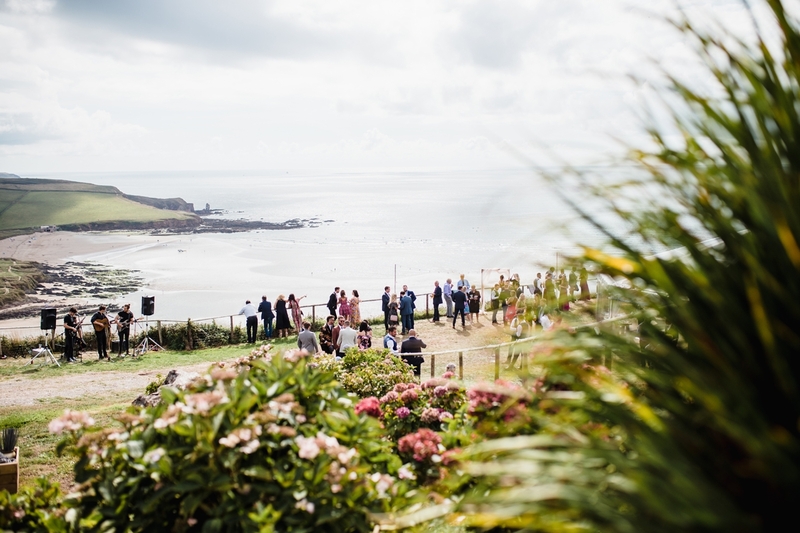 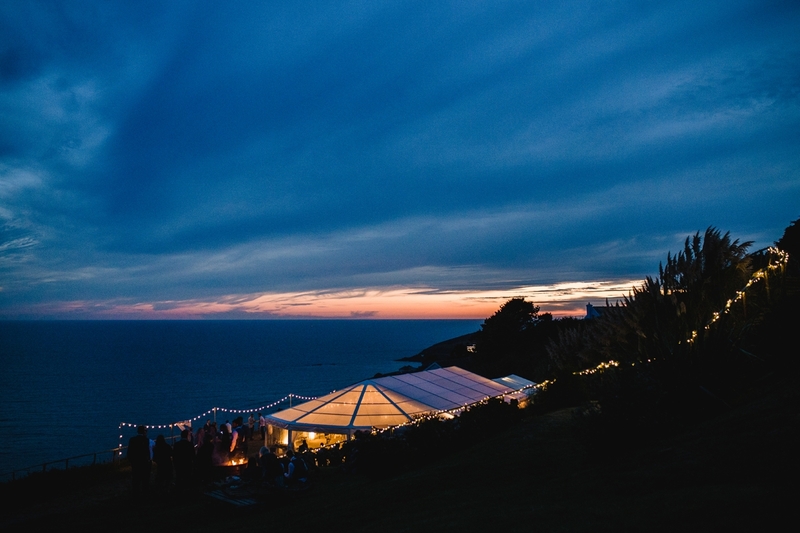 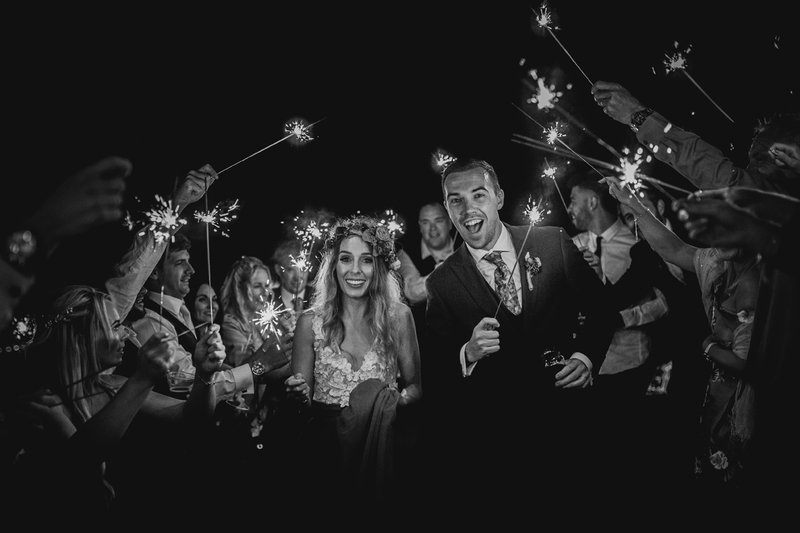 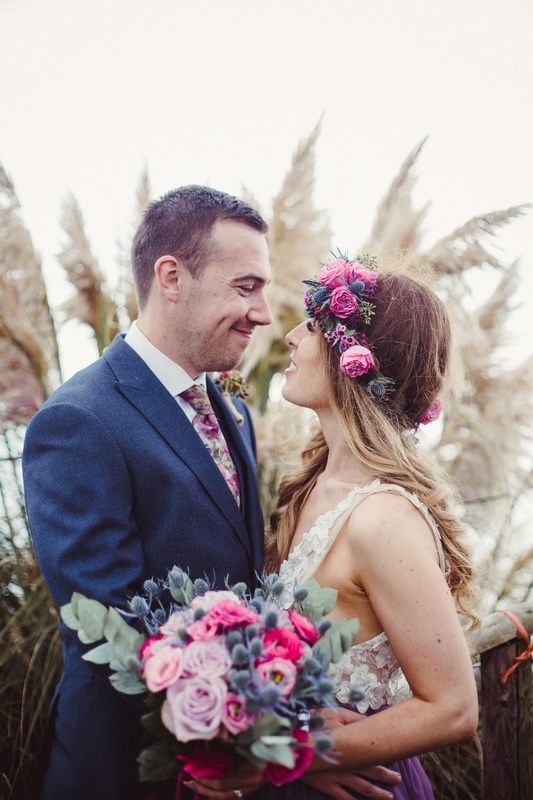 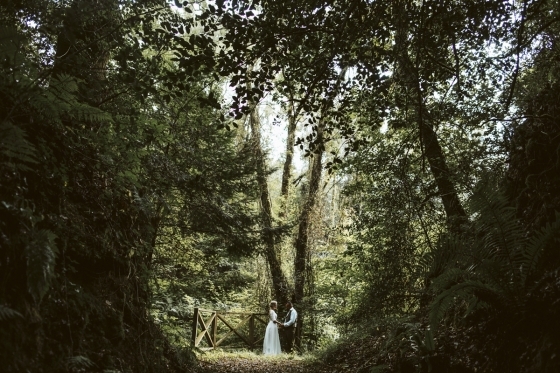 It took just a single glance at Mount Folly Farm in Bigbury for the couple to find their dream venue. 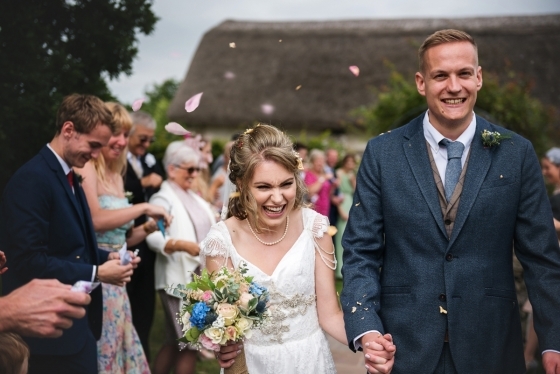 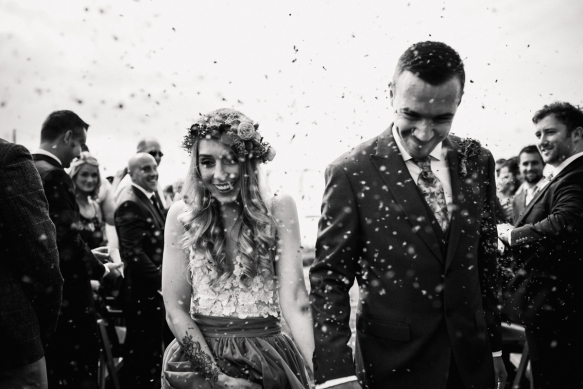 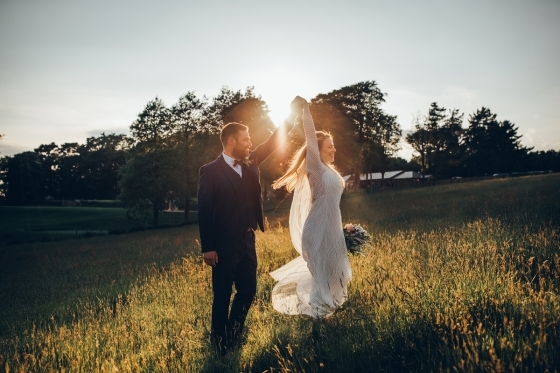 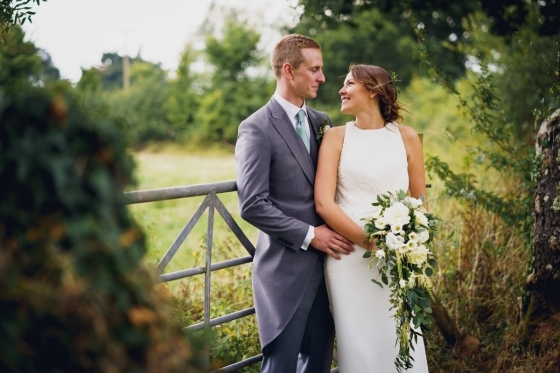 “The minute we walked down into the field it took my breath away and we knew straight away it was perfect for us,” says Katie. 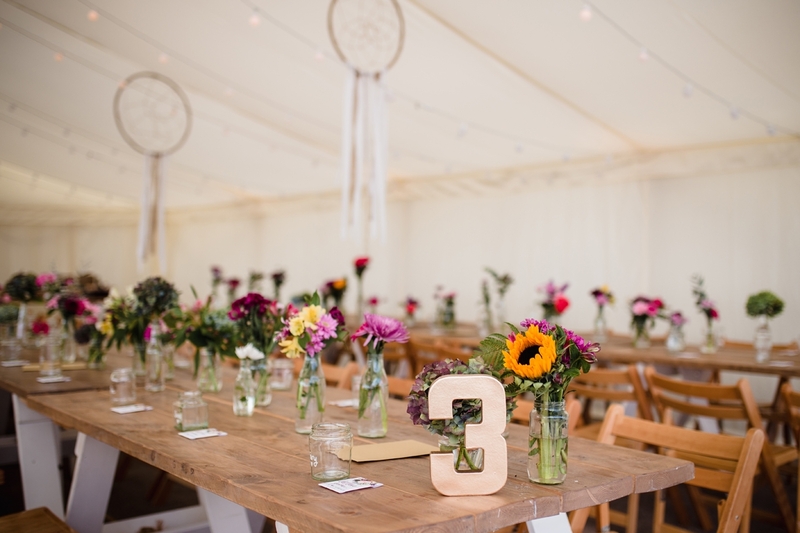 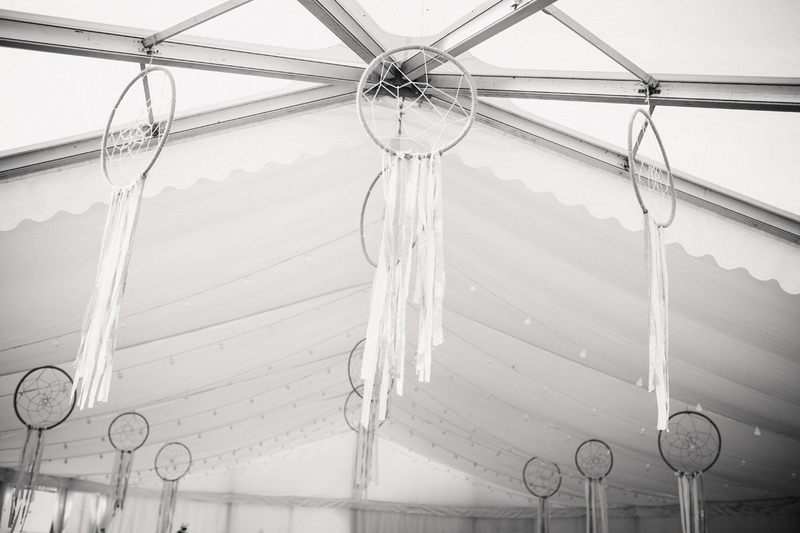 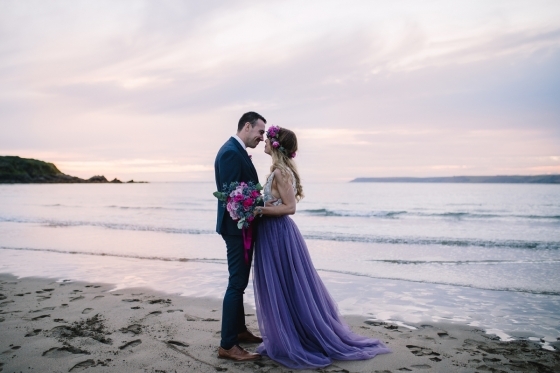 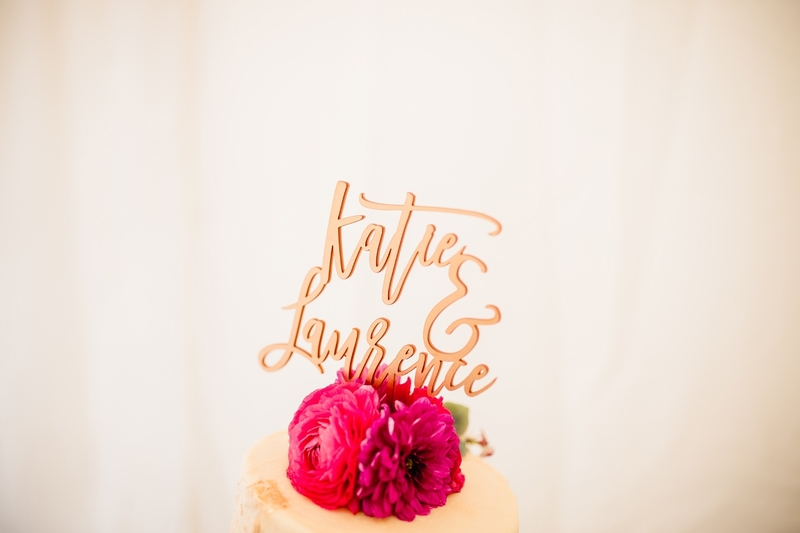 Taking a highly personal approach, Katie planned and designed most things herself, filling the day with “beachy, botanical and boho” inspired details, from giant dreamcatchers to colourful flowers arranged in bottles that she had collected over the course of a year. 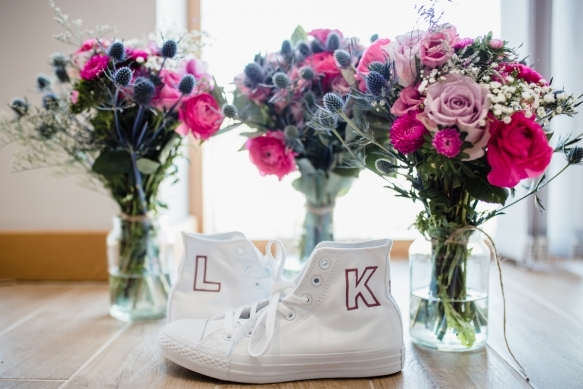 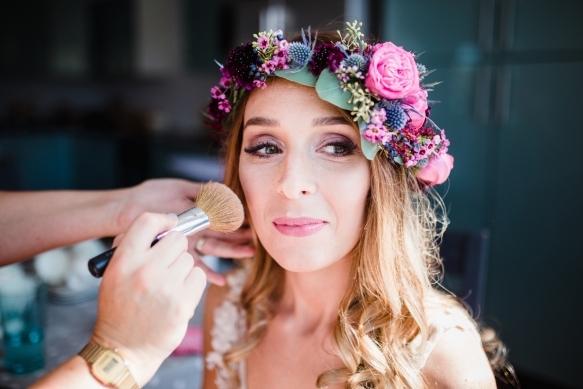 She also went for a beautifully individual bridal look, donning a bespoke bodysuit and purple tulle skirt, accessorised with a gorgeous flower crown and customised Converse. 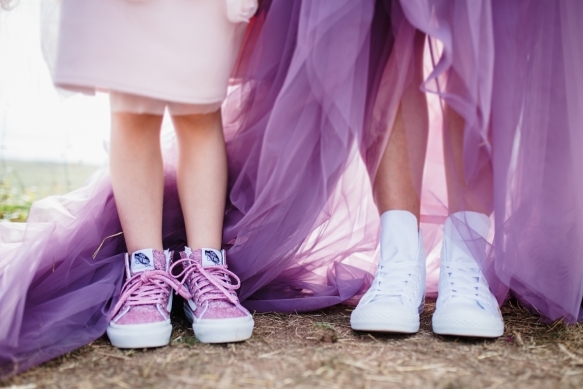 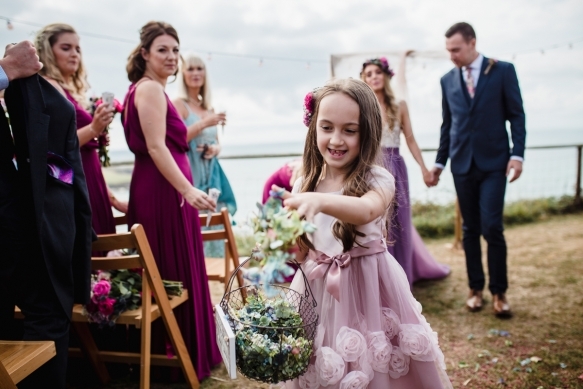 The day was made all the more special by the fact that the couple’s six-year-old daughter accompanied Katie down the aisle and served as ring bearer. 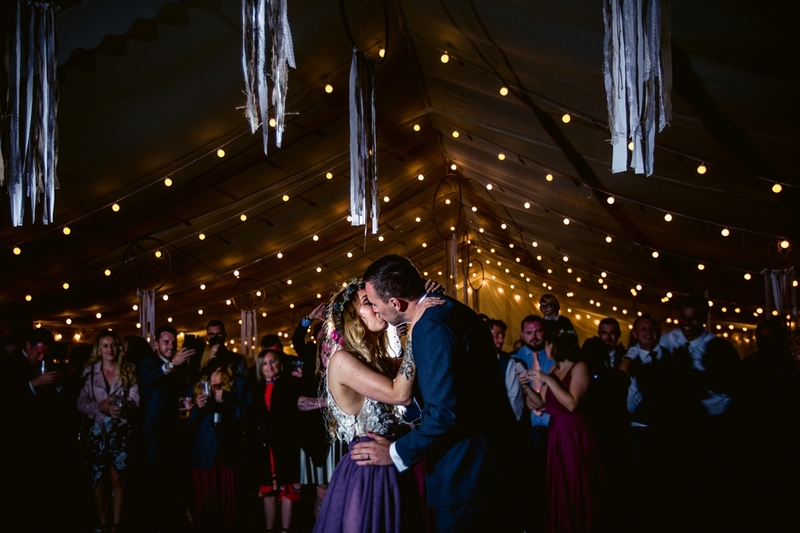 After the vows, the celebrations got into full swing with The Busketeers providing the al fresco entertainment. 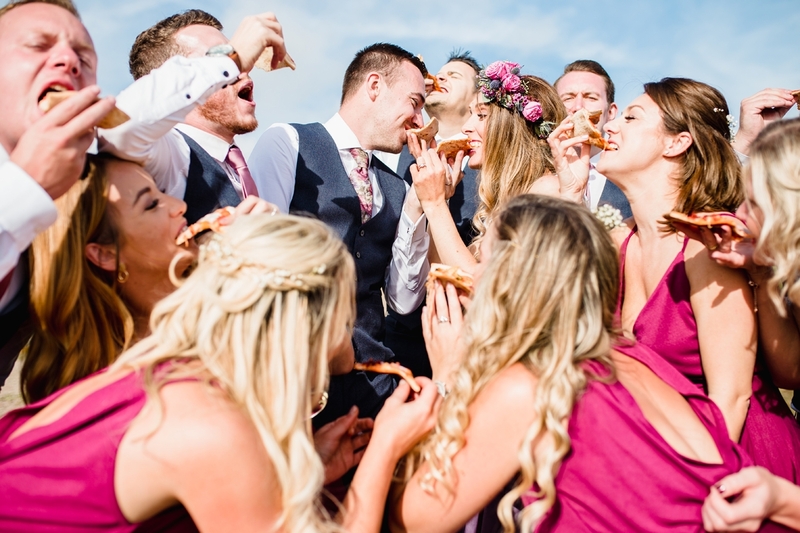 Continuing the relaxed mood, guests tucked into delicious pizzas served from a van and a showstopping buffet created by Katie the night before, while a horse trailer bar served craft beers and cider into the small hours.